In the last 15 to 20 years, writing centers have placed greater importance on tutor training, focusing on teaching tutors best practices in fostering student writers’ engagement and writing skills. Writing Center Talk over Time explores the importance of writing center talk and demonstrates the efficacy of tutor training. 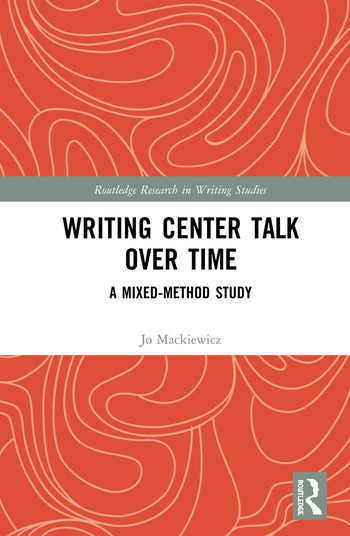 The book uses corpus-driven analysis and discourse analysis to examine the changes in writing center talk over time to provide a baseline understanding of the very heart of writing center work: the talk that unfolds between tutors and student writers. It is this talk that, at its best, motivates student writers to continue to improve their writing and scaffolds their learning and that makes tutors proud of the service that they provide. The methods and analysis of this study are intended to inform other researchers so that they may conduct further research into the efficacy of writing center talk. Jo Mackiewicz is Professor of Rhetoric and Professional Communication and Co-Director of the Advanced Communication Program at Iowa State University, USA. She is the author of The Aboutness of Writing Center Talk and co-author, with Isabelle Thompson, of Talk about Writing.